Everyone wants to watch their favorite team or the most popular matches in Frankfurt, but the question is where are the best places to go? At Celebreak, we love playing and watching football and realize so many others are wondering the same thing. 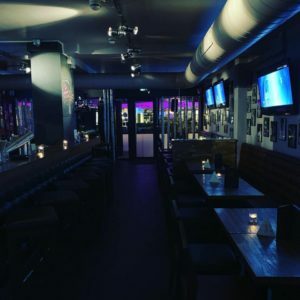 So here are our recommendations of where we think are the best bars to watch football in Frankfurt. O’Reilly’s is first on this list due to it being such a well known location for watching sports. They have 6 big screen TV’s, a 98’’ LCB main bar screen, and multiple other TV’s located around the pub. You will be able to view the matches on their website so you will be aware of what is showing. O’Reilly’s is known for their amazing atmosphere and their weekend karaoke and DJ nights. To make the weekends even better, on Friday and Saturday nights from 12:00 until 1:00 you can enjoy 50% off on cocktails and shots. They also offer free wifi which is always a plus and its a smoking bar so keep that in mind because it may impact your decision. 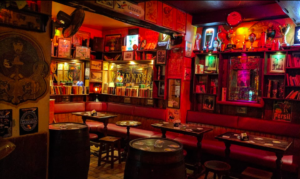 This Irish pub is located on the popular street of Berger Straße which is where you will find many other pubs, bars, and restaurants. Here you can catch a wide variety of matches of both Bundesliga 1 & 2 (Konferenz, Eintracht & Bayern matches), the English Premiership, English Championship, Scottish Premier League, La Liga and more from Europe’s top leagues. If you are curious of what matches they are playing, you can check out their website where you can see what matches will be shown. 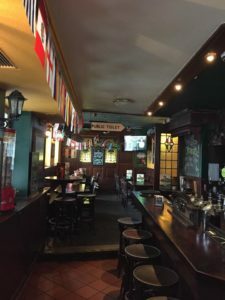 They have really great food, service and atmosphere and true Irish decor to go along with it. You can also get Talisker here for under 5 euros and enjoy their other reasonable prices. 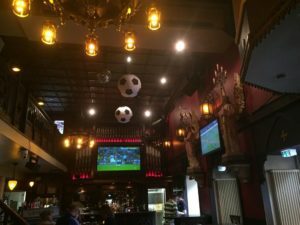 Waxy’s is another Irish Pub where you will be able to enjoy hanging out with and viewing your favorite football matches. This pub like many others has a schedule of football matches online so you know which ones will be played. You will be able to enjoy one of their 6 screen multi screen terrace and an 77” and 88” screens. Beer is around 5 euro, the lowest being 3.40 or an international beer for 4.50 which comes with bucket option that holds 6 beers for 25 euro. As many patrons have mentioned, this is an overall great spot to enjoy your favorite football matches. 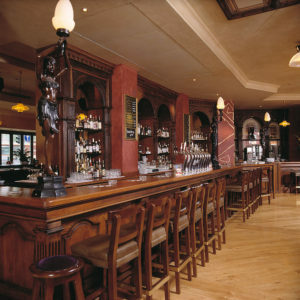 At Anglo Irish you will be emerged in the Irish feel due to their decor around the pub. Like others on this list, Anglo Irish also has the matches they will be playing on their website and they play a mix between rugby and football. Smoking is permitted inside and it is usually filled with lots of smoke which is something to consider. They also do not have many TVs but its a very nice experience due to the experience you will have of the place as well as enjoying their reasonable prices. Inside Champions you will be apart of the dynamic atmospheres it provides due to its newly unique design. Their theme is sports, burgers and beer which is basically all you need when you are trying to find the right place to enjoy some football. They offer 12 good size screens that drop from the ceiling that become projectors when viewing sports. Since this is an American bar, there will be American sports being played too which may interfere with football. With that being said you can check their website for their schedule on when the football matches are being shown. Many enjoy their tasty beer and cocktails as well as their great food. 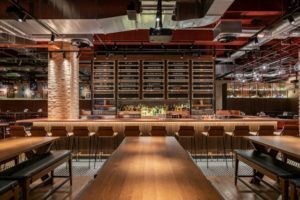 If you are looking for an American feel type of bar then this place is for you. Covered in American decor, their design pairs up with the American food that they offer which many are not a fan of. There are around 8 screens available and they too post what matches they will be playing each night. 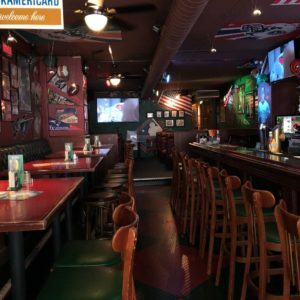 You can enjoy Bundesliga or the Champions league most likely due to it being an American bar. They have specials each day of the week like Shooters Day on Thursday where you can get 1 euro shots all night long or cocktails for 5 euro all day on Friday. Since it has sports bar in its name, you can for sure count on football to be played here. There are many screens available to view Bundesliga, Champions League, international matches and more. They do not have have happy hour or special offers which is something to keep in mind. There are also two locations in Frankfurt, Schäfergasse and Bahnsteig Gleis. They do offer smoking and non-smoking areas as well as offering beer for around 4 euro and all cocktails for 8.50. Do you enjoy playing football as much as you do watching it? At CeleBreak you can enjoy daily pick up matches that you can choose for wherever and whenever you want. It is perfect for those not knowing where or with whom to play with or those not wanting to commit to a team for both men and women. After each match enjoy time with your team and meet new friends. It’s easy, download the app, pick your location, pick a time that works for you and join a team! What are you waiting for? Join the CeleBreak community!